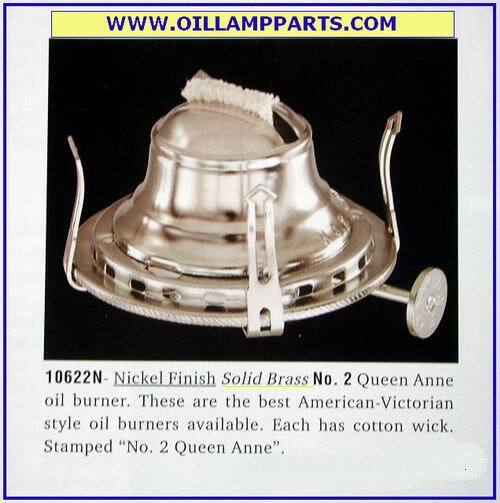 Solid brass #2 size burner, nickel plated: This burner is typically used on large table lamps, hanging lamps, & wall bracket lamps. The burner screws into a #2 size collar having a 1-1/4"(or 1-3/16") inside diameter. Very smooth wick raising mechanism. It takes any chimney with a 3" base diameter (fitter). Specifications: O.D. = 3", threading diam. = 1-1/4" , wick width = 1", wt.=3 oz.